Remember how I went to the Kaelen presentation last fashion week? Well, her stuff is now available at Intermix, awesome! 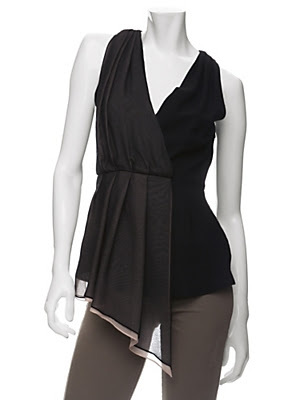 I love this top for $325, which mixes pleated silk and wool for a unique, slightly vintage-esque look.